Raheel Raza was born in Pakistan where she received her primary and secondary education in Convent schools. She graduated from Karachi University with a major in English and Psychology and has taken writing and public speaking courses in Toronto. Raheel started writing prose and poetry from a young age because she grew up in a culture where women were supposed to “be seen and not heard”. Some of her work has been published in academic journals and she has received awards for creative writing. Her short stories, essays and poems have been published in books across North America. During her academic years in Pakistan, Raheel excelled in debate, drama and public speaking, winning many national prizes. A fascination for travel led Raheel to completing a course in Travel and Tourism, and a career with Scandinavian Airlines. In 1979, she and her husband moved to the United Arab Emirates. Due to her airline and tourism experience, Raheel was invited to work with the Ruler of Sharjah to develop tourism to the Emirate. Soon after, she was acknowledged and interviewed as the only Asian woman working in the Diwan-i-Emiri (Ruler’s Office) in Sharjah, UAE. As part of her work, Raheel travelled extensively throughout the Middle East, Europe, Far East and North America incorporating much of her experience into travel related articles. In the UAE, Raheel started writing for a leading English newspaper, “The Khaleej Times”. Raheel writes about people, places and events because she believes “every person has a story to tell.” An outspoken advocate for gender equality and activist for women’s rights internationally, she contributed regularly to a series on Women in which she interviewed diverse women living in the Middle East, highlighting their special talents and bringing their issues to light. Through her work with print and electronic media, Raheel addresses a variety of issues like the status of women, arranged marriages, media stereotypes etc. She has spoken to diverse groups including the armed forces college on issues of National identity. She is winner of the Canadian Ethnic Journalists & Writer’s Club award for excellence in journalism. Raheel was on the Board of Directors for IMAGE (Islamic Media Awareness Group) which produced SALAM, a half hour program on Vision Television for 13 weeks. 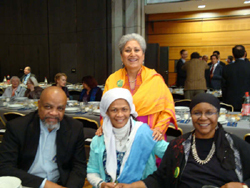 She is member of many mainstream organizations and is actively involved in Interfaith Dialogue at various levels. She has participated in interfaith media panel discussions on “Skylight” as part of Vision’s multi faith programming and continues to participate in interfaith dialogues at Churches and in communities across Ontario. Currently she is Director, Interfaith Affairs for The Snowstar Institute of Religion, where she promotes multi-faith dialogue. The National Christian-Muslim Liaison committee has acknowledged and awarded Raheel a plaque for her interfaith work. As her contribution to Canada, Raheel volunteers her time to ‘bridge the gulf’ between all peoples and faiths. An experienced public speaker, she has become a well-known internationally by participating in seminars and panel discussions with regards to media stereotypes, gender equality, racism & discrimination, multiculturalism and many other topics. Raheel was the keynote speaker for a symposium by the National Judicial Institute in Montreal on Judging in the Context of Diverse Faiths and Cultures. 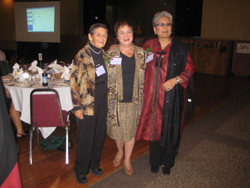 She is a recipient of the City of Toronto Constance Hamilton award for working towards equitable treatment of women. In a presentation to Members of Parliament and international diplomats at the House of Commons, Raheel received a standing ovation to her 30-minute speech titled “Celebrating our Differences“. 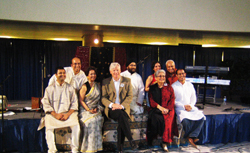 In June 2006, Raheel was invited to meet Stephen Harper, the Prime Minister of Canada following which she also had the honour to meet with Her Excellency the Right Honourable Michaëlle Jean, Governor General of Canada. A constant presence on television, she has appeared as a regular panelist on Jane Hawtin Live, Michael Coren, Ben Mergui Live, Vision, CBC, CTV, City TV, TVO, Faith Journal and Behind the Line on CTS, OMNI as well as on CBC and CFRB radio. WTN (Women’s Television Network) aired a special documentary on Raheel titled “Family Dance” as part of a series on women who juggle careers, families and hobbies. Raheel also has the distinction of being the first South Asian woman to do the narration for the Gemini award-winning CBC documentary “Runaway Grooms”. Raheel enjoys organizing programs and uses her creative talents to bring communities together. She excels in organizing multinational shows in which she highlights the best from East and West. She has used this talent to successfully raise funds for The United Way for many years. As part of Asian Heritage month, she organized a cultural program for the Ontario Science Centre, which was very well received. Raheel has written, and produced a social satire called Chai Latte, which was showcased at the Royal Ontario Museum Theatre and Living Arts Centre to a large multicultural audience. 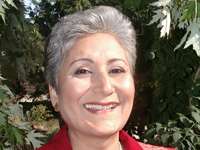 Raheel also works with various Boards of Education on raising awareness of diversity and working towards a more inclusive curriculum; her name is included in the Community Role Models Resource Inventory developed by the Elementary Teachers’ Federation of Ontario. Raheel has co-produced a publication titled “Muslim Women and the Media” – a report and media contact list of “Muslim women professionals in the GTA”. The publication has been sent to print and electronic media as an educational tool for accessing a large section of the community. She also produced a media handbook titled “Managing Media” for The Canadian Council of Muslim Women and conducted workshops in many provinces to help the Muslim community in dealing with media issues. Currently Raheel is producing a documentary on Religious Tribunals in Ontario and is author of a book titled THEIR JIHAD – NOT MY JIHAD. Profiled on Roger’s Television “Canadians who make a difference” segment. Presenter at The Parliament of World Religions Annual conference in Barcelona, Spain. Toronto Star: Life, Opinion, Religion, Insight, Special Sections, Business, Fashion, Body & Soul, op-ed. Jon Hamm: Too Hot For The Emmys?